The airshow area | Vel møtt til en forrykende folkefest! 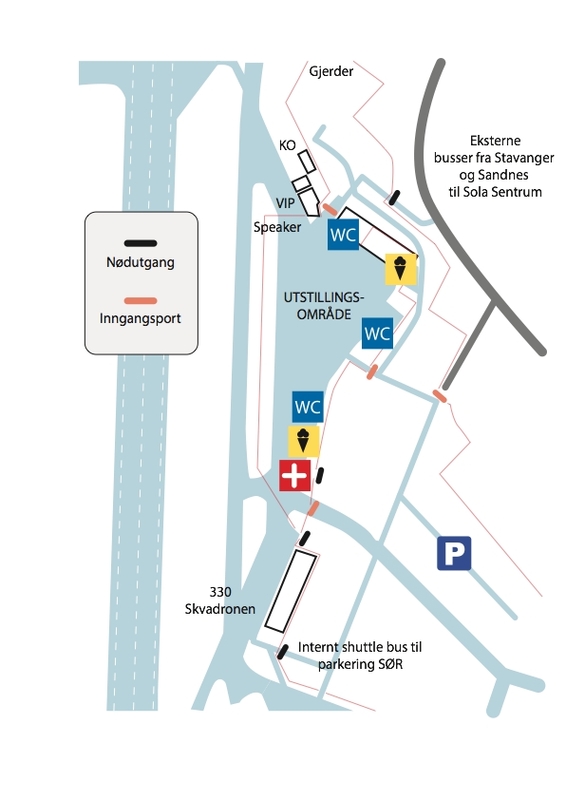 The map below shows the air show area. Please note that you cannot bring dogs into the air show grounds and that smoking, consumption of alcohol and barbecuing is not allowed.